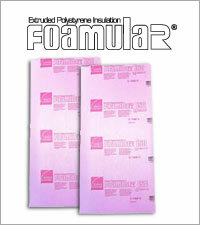 THERMAXTM brand insulation is a polyisocyanurate rigid board insulation with an R-value of 6.5 per inch. This product has FM 4880 class 1 wall and ceiling approval for fire exposure and can be left exposed in both the wall and ceiling providing a nice aesthetically pleasing look to the interior as well as increasing energy efficiency. The Dow Chemical Company produces THERMAXTM Sheathing and THERMAX Insulation/Finish Boards, including White Finish (formerly AgTherm), Metal Building Board, Light Duty, Heavy Duty and Heavy Duty Plus, all are manufactured to meet the following specifications. Compliance to ASTM C-1289-06 "Standard Specification for Faced Rigid Cellular Polyisocyanurate Thermal Insulation Board", Type I, Class 2 and Federal Specification HH-I-1972/1, Class 2. What Does Type 1 / Class 2 mean? Type 1 means Faced with Aluminum foil on both major surfaces of the foam core. Class 2 means Glass fiber reinforced core foam. 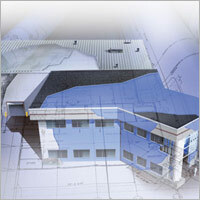 NOTE: Dow currently is the only Polyiso foam insulation board manufacturer that makes Type 1 / Class 2 products. The combination of foil facers, glass fiber reinforced core and the unique free-rise process contributes to a product with better foam consistency, durability and fire performance versus generic ISO products. In the 2003 IRC section R 318.3 "Specific Approval" section which states "Plastic foam not meeting the requirements of Sections R 318.1. and R 318.2 may be specifically approved on the basis of one of the following approved tests: ASTM E 84, FM 4880, UL 1040, ASTM E 152, or UL 1715, or fire tests related to actual end-use configurations. The specific approval maybe based on the end use, quantity, location and similar considerations where such tests would not be applicable or practical. Below THERMAXTM meets the majority of those tests listed in the IRC. In the IBC 2003 THERMAXTM meets the requirements of Chapter 26 Plastics, specifically under section 2603.5.3 "Potential Heat" per NFPA 259 and section 2603.8 "Special Approval" for use without a thermal barrier covering. This high density moisture resistant extruded polystyrene is perfect for all applications especially when a high compressive strength is needed. Produced from virgin and recycled polystyrene Green Guard is one of the most environmentally friendly foam products on the market. Thickness from 1/4" (fanfold) to 3" is standard. 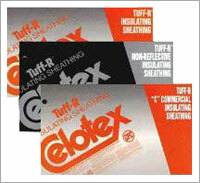 This is the most energy-efficient insulation board available. Its uniform, closed-cell structure is especially resistant to the flow of heat, and the laminated aluminum facings provide an effective moisture barrier. These products come in a variety of finishes for both concealed and exposed applications and are especially recommended for agricultural, commercial and industrial buildings. Products are available in thicknesses from 1/2" to 4". This tough, closed-cell extruded polystyrene foam has had a reputation as a dependable product. Its superior resistance to water assures long-term R-value retention in such applications as foundation perimeters, wall insulation and drywall laminate. Available in a broad range of densities for any application. Fan fold backer board is also available for your needs. • New frame wall construction. • Cavity wall insulation in new masonry construction. 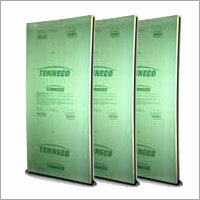 • Interior basement and crawl space insulation covered with minimum 1/2" gypsum board. • Insulation between exterior stucco finish and face brick, or frame wall construction. • Under roof shingles over roof decks, in exposed beam and cathedral type ceilings and A-frame construction. • Under slab thermal construction. • Retrofit behind new exterior siding. • Retrofit behind new interior finish of minimum 1/2" gypsum board. 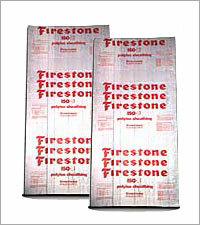 Firestone ISO-R is available in standard 4' x 8' and 4' x 9' sections with thicknesses from 1/2" to 4". Other sizes and thicknesses may be special ordered. Minimum order quantities may apply.